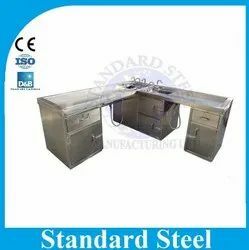 Our range of products include l shape autopsy dissection table, standard steel portable autoclave, magnetic stirrer, triple walled dry steam sterilizer, fumigator fogger and embalming machine. Measurement scale on one side. 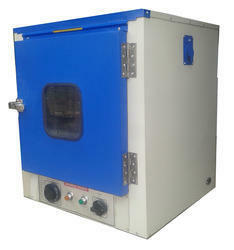 Vertical portable S.S. Autoclave with seamless construction to avoid any accumulation of dust or bacteria residue. 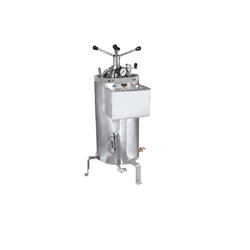 Vertical Autoclave has twin safety system to ensure safety of operator and patients, Pressure cooker type lid opening to avoid any leakage. Highly polished SS top plate for optimum heat transfer. PMDC motor for higher torque ever at low speeds. Accurate steeples speed control maintains speed stability. Bushing according to DIN 12878 for connecting a contact thermometer. Digital LED display for temp. & RPM available providing high accuracy. 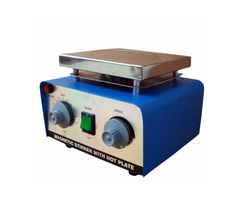 Magnetic stirrer with digital temp. & RPM indicator. Working Pressure: - The pressure inside the chamber is variable from 5 psi. to 20 psi. 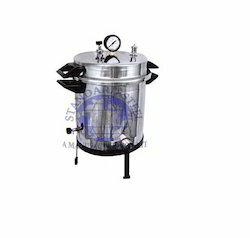 But the normal recommended pressure for sterilization process is 1.2 kgf/cm sq.g ( 15 psi - 17 psi). Working Temperature : 121° C .
With timer of 60 Mints. Suitable for 10000 Cubic Feet Area. Auto water cut off system. 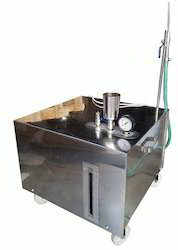 The body of the Embalming Machine(Cadaverous Injector) machine is made of Stainless Steel/ Mild Steel (As required). 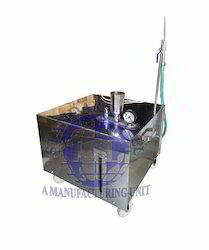 For injecting formaldehyde solution in cadaverous at much higher speed than normal gravity process. Unit is fully covered mounted on a portable trolley having four castor wheels for easy movement. 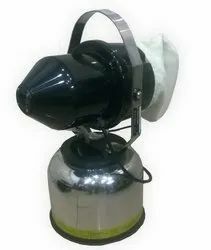 Unit consists of one air compressor which is connected with a stainless steel tank of 10 liters capacity meant for storing and injecting the solution. Incorporated with latest Reciprocatory pressuring unit for efficient performance. The machine is Completely Noiseless and Vibration free which justifies the Superiority of our machine from the other brands available. Tank is fitted with a safety valve, pressure gauge and rubber tubing having provision for injection. Supplied complete with electric cord, plug and suitable to work on 220 volts, 1ph 50 hz. We are able to offer Bacteriological Incubator to valued clients. The offered range of bacteriological incubators is manufactured utilizing high grade raw material and innovative technology in strict conformation with the highest quality norms and standards. Moreover, the offered range of bacteriological incubators is suitably inspected on different parameters to maintain its authenticity throughout the designing process. Looking for Lab Equipment ?